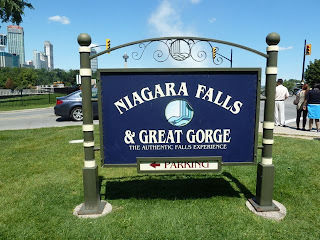 Today we drove to Niagara Falls, ONT. Before viewing the Falls, we stopped at the Drummond Hill Cemetery site of the bloodiest battle of the War of 1812. 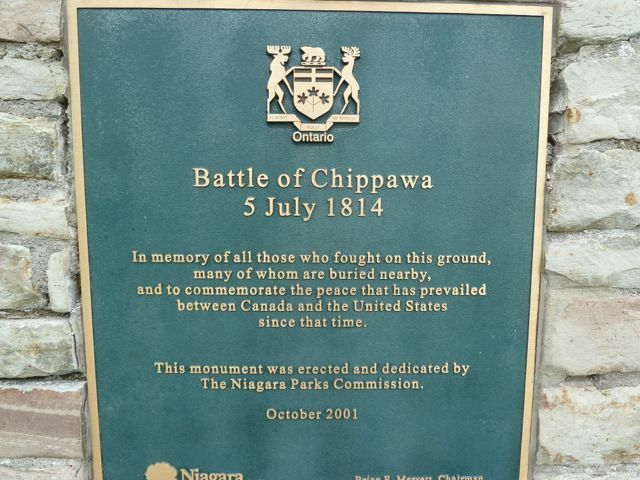 Prior to this battle, Americans were victorious at Chippawa several miles south. 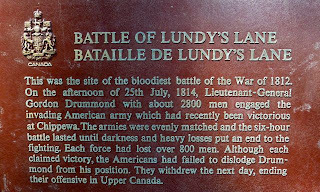 Both battles took place in 1814. LT General Gordon Drummond with over 2800 men engaged the American forces with two 24-pounders, two 6-pounders and a 5/1/2 inch howitzer. The American brigade under the command of General Winfield Scott surged forward attempting to take the British position enduring heavy losses. Later under cover of darkness in a surprise flank attack captured the British guns. 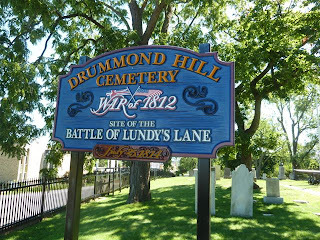 Drummond led three unsuccessful attacks trying to recapture the guns. The fighting was vicious and bloody. 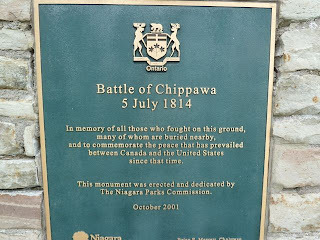 After midnight, both sides were completely exhausted and the Americans withdrew to their camp at Chippawa leaving the guns behind. Neither side won decisively. 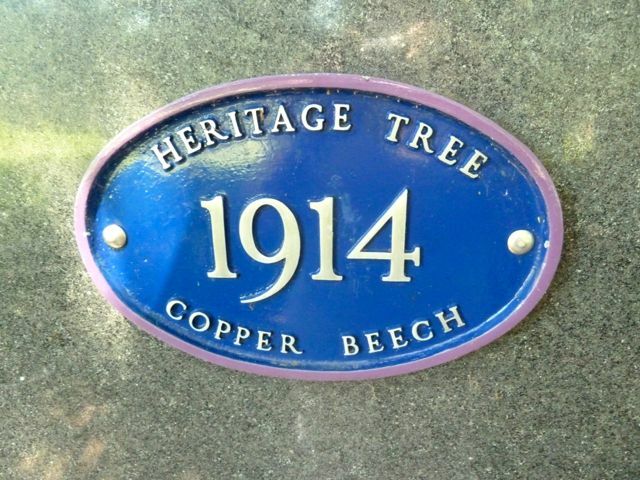 Each side lost over 800 men killed or wounded. 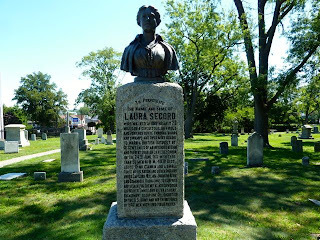 Located in the Cemetery is the grave of Laura Secord a Canadian heroine who walked 19 miles from the village of Queenston to Beaverdams to warn the British of impending American attack in June of 1813. She lived til 93 years. She has an interesting story related to the walk which if interested you can google her name. 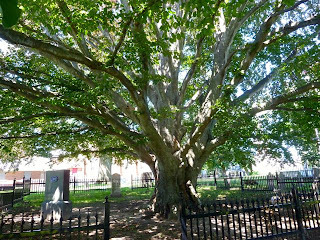 Also in the cemetery is a 100 year old Beech Tree. 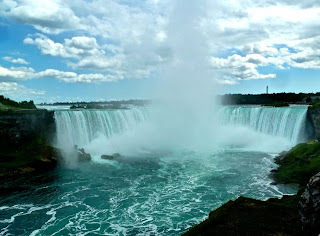 We then drove to the viewpoint walk for the falls. 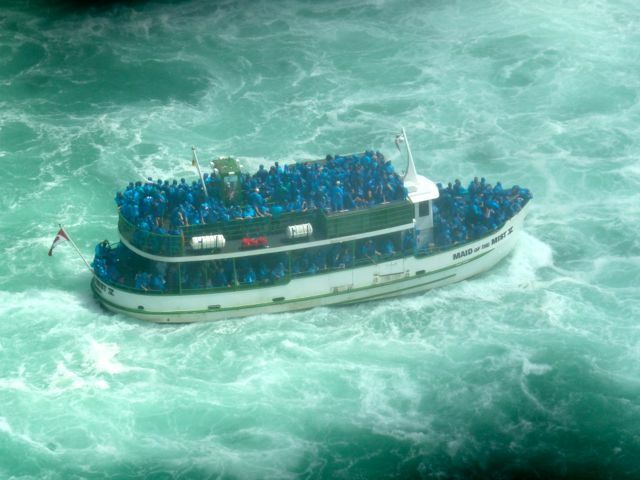 Parking is $20. There must have been thousands of tourists lining the boardwalk and town. We were on the NY side last year and took the tour boat ride under the falls. The view from the Canadian side is spectacular. 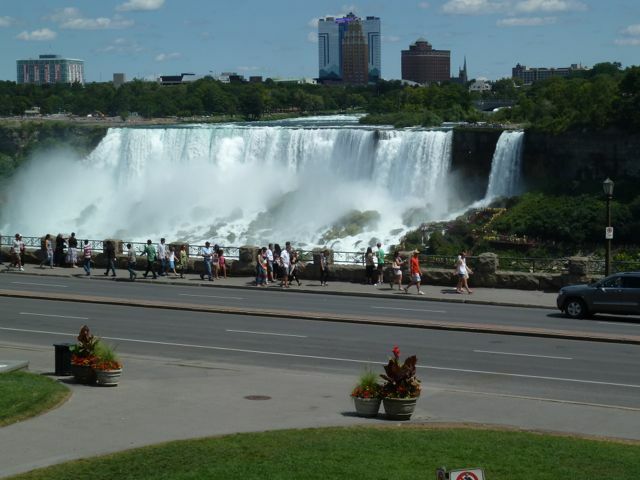 As you may know, the Falls consists of 3 falls. 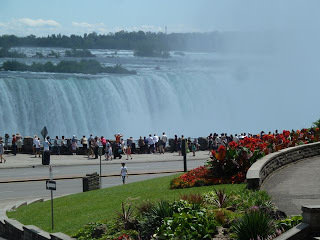 Horseshoe on the Canadian side, American and Bridal Veil. The boundary line was set in 1819. Lake Erie flows into the Niagara River and into Lake Ontario. 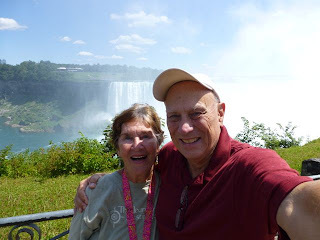 After lunch at the Edgewater Restaurant overlooking the Falls, we drove up the Parkway to Queenston Heights to view the Brock Monument and find several batteries. 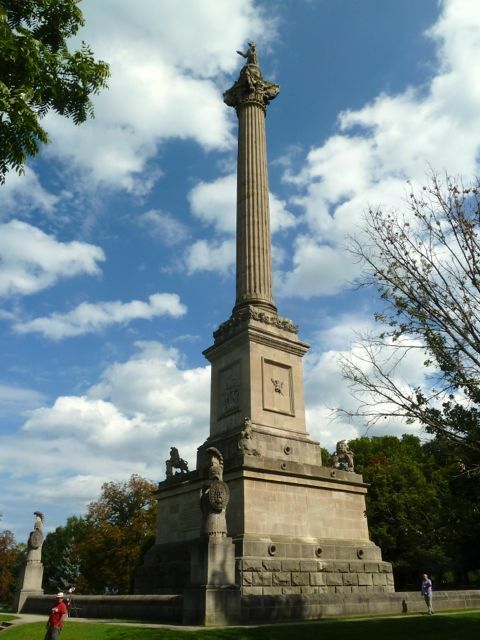 Isaac Brock was born on Guernsey Island in 1769 and was killed in 1812 during battle in Queenston Heights while leading a small army. 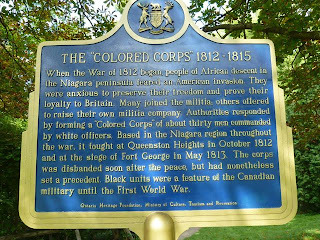 He was the first LT Governor of Upper Canada. There was no real military action on the Niagara until October 1812 when Queenston was invaded by the American Army. Brock knew the American invasion had begun, mounted his horse and raced toward the Heights. 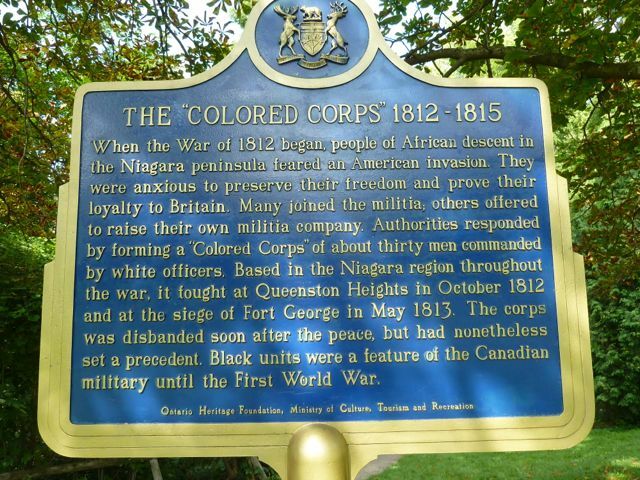 His troops including Royal Artillery, the 41st regiment known as the the Coloured Corps and allied warriors followed. Unwilling to give up the Heights, Brock led a valiant charge in an attempt to retake the Redan Battery.. Brock was felled by a single shot. 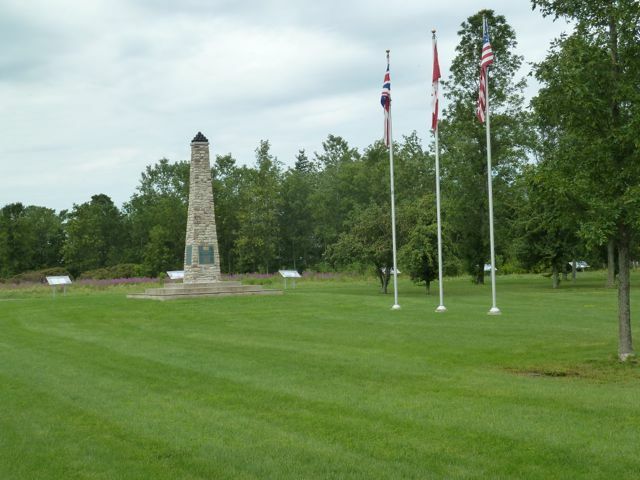 The Americans unable to stand a formal bayonet advance, panicked and ran killing themselves falling down the escarpment. 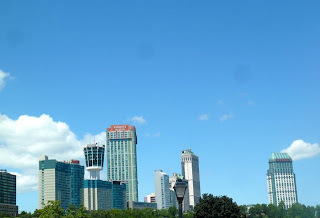 The battle was over and the British victorius. The war ended 24 December 1814 with the signing of the Treaty of Ghent. 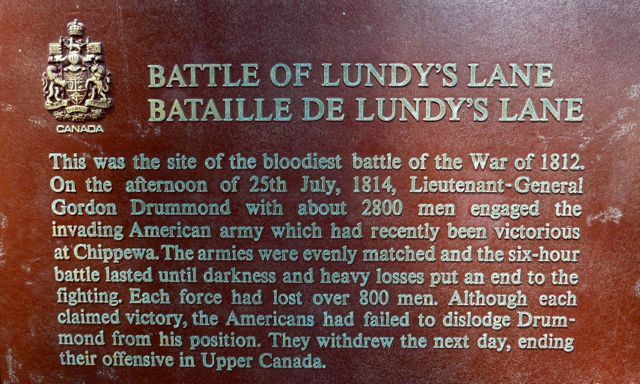 This gives a more detailed accounting of the war in Canada. We have visited most of the Canadian and American sites of the war as mentioned in previous blogs. 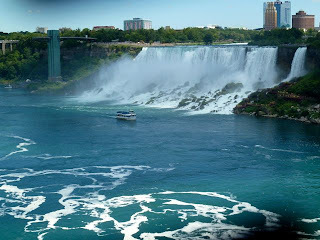 Tuesday we leave Canada after 2 months and arrive back in the USA at Port Huron. 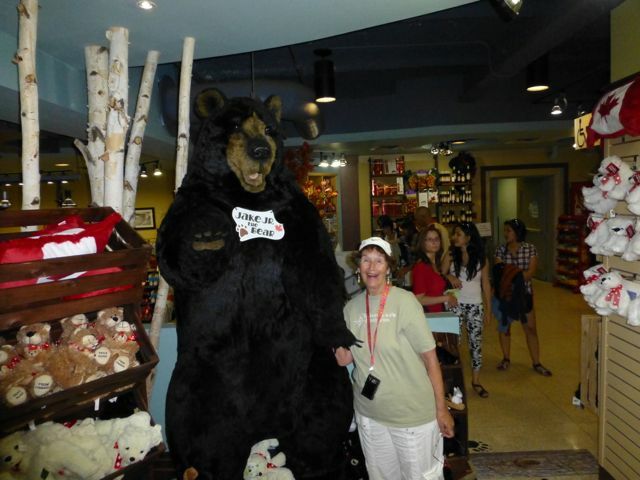 We have good reflections of Canada and the Canadians. We found them to be very friendly and helpful and the country most beautiful. 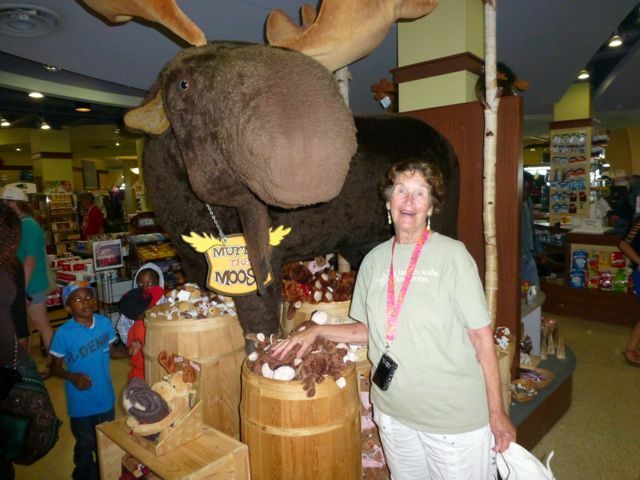 Unfortunately we have not spent enough time in the provinces and have missed much sightseeing.